Jenni is one of our ‘brand ambassadors’ and a teacher who has trained into the majority of the programmes offered by The Natal Family – BabyNatal, First Aid (Paediatric and beyond) and MummyNatal. An active member of The Natal Family team, at home, Jenni is a wife and a mum to a lovely boy. Today we talk to Jenni about being a MummyNatal teacher and about how that has impacted her personal views and her day-to-day life, as well as how she feels her work as an antenatal educator is benefiting the expectant parents that she works with. 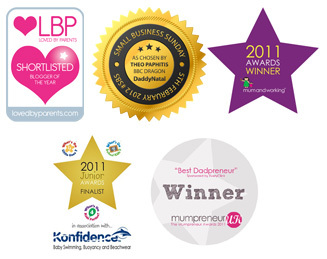 Q.: “First of all, Jenni, how do you feel about being a MummyNatal practitioner? Jenni: “Oh yes, massively! I thought I knew a lot from my own birth experience, but I hadn’t even scratched the surface! I wasn’t broody or even thinking about having another baby until I started on the training, but now I can’t wait to have another baby, so I can put into practice everything I have learnt!!! 1) Two of the mums attending my first term of MummyNatal classes became really good friends during the classes, and then their partners met during a Practical Baby Care session I taught afterwards. It was lovely to see how close they grew, and I hope they managed to keep in touch afterwards, as that certainly helped them in the way of local support from likeminded families in a similar situation. 2) One mum who had attended an NCT class prior to coming on my MummyNatal course told me that she had learned a lot at my MummyNatal course, in addition to what she had learned during her NCT course. Unfortunately, a lot of parents think that NCT and Natal courses are mutually exclusive, but they aren’t. They are different and just part of the choices available to parents-to-be in the local area. Q.: “That’s great Jenni – it shows that you were really able to make a difference for that mum, and that’s amazing! Jenni: “I love the fact that MummyNatal is a combination of techniques rather than just one method. It offers mums a choice and a toolkit of things to try, rather than one ‘prescriptive’ way of giving birth, which we recognise that may or may not work on the day itself. Also, because of how the 6-week MummyNatal course is structured, I love how it builds week on week, working through the different elements of the mind-body connection, which come together so beautifully by the last week and really link the process together. I think this really helps to make mums understand how our mindfulness-based approach can really work for them, in pregnancy, labour and birth and beyond! Another thing that is unique about MummyNatal and other programmes from The Natal Family is that it makes direct reference to (as well as offering lots of opportunities to talk about), the other members of the family – dads, other birth partners, older siblings etc. so I’m really proud to be able to say that at MummyNatal we make the birth process and choices inclusive of all, and we carry that ethos forward in all our other classes too, so dads and birth partners can see for themselves how everyone is treated in the same non-judgemental and supportive way. Jenni: “Go for it, without a doubt! It’s an amazing course to be able to teach. Training gives you a great opportunity to learn about mindfulness amongst other things, which is beneficial both at a personal and a professional level. It can really help you in both your business and family life – for me, it’s been brilliant to think that this can really prepare me to have another baby! From a practitioner perspective, I feel that MummyNatal is probably one of the most empowering classes available from The Natal Family, as it really explores what role we play as teachers – its ethos and understanding then follows through into all the other classes so perfectly. Thank you for sharing your thoughts and experiences with us Jenni! If you live around Leeds and Airedale, make sure you check when Jenni’s next MummyNatal term starts! As you can tell, Jenni has a great passion for supporting parents-to-be and will always go the extra mile to help you with useful and empowering information that are important to YOU! If you would like to find out more about MummyNatal or any of the other programmes that we offer here at The Natal Family, please do get in touch with Steph by email: steph@thenatalfamily.co.uk or phone: 01981 241094. This entry was posted in Uncategorized and tagged active birth, antenatal classes, antenatal teacher training, birth, birth ball, birth environment, birth physiology, birth story, empowering, inclusive, mind-body connection, mindful birth, mindful birthing, mindfully birthing, mindfulness, mummynatal, Natal Family, natural birth, non judgemental, positive birth, pregnancy, steph beaumont, supportive, The Natal Family by Steph. Bookmark the permalink.